This widely-respected book stresses fundamental concepts and problem solving. Numerous illustrations and analogies are provided. In addition, independent learning is facilitated by many examples and problems. Important updates and revisions have been included in this edition. 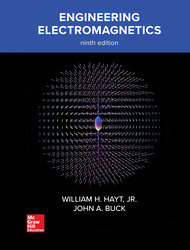 One of the most significant is a new chapter on electromagnetic radiation and antennas. This chapter covers the basic principles of radiation, wire antennas, simple arrays, and transmit-receive systems.